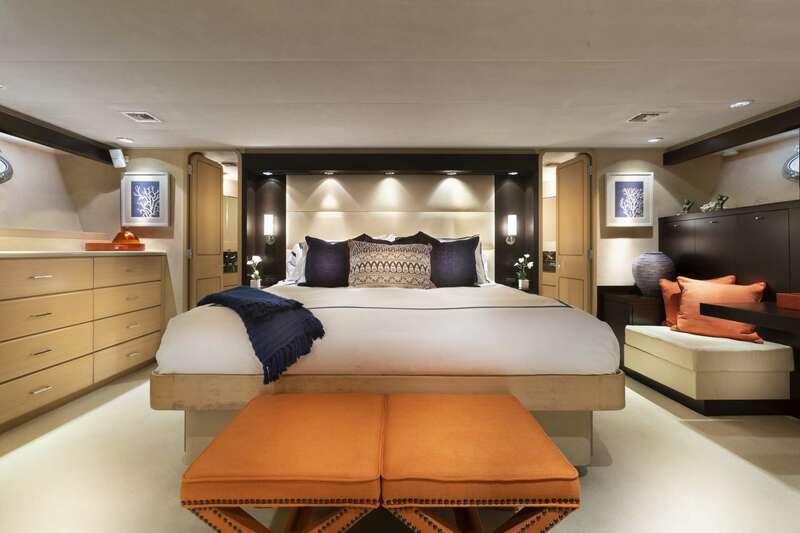 Located amid-shis on the lower deck, each suite features a custom designed walk-around bed with spa-inspired ensuite bathrooms. 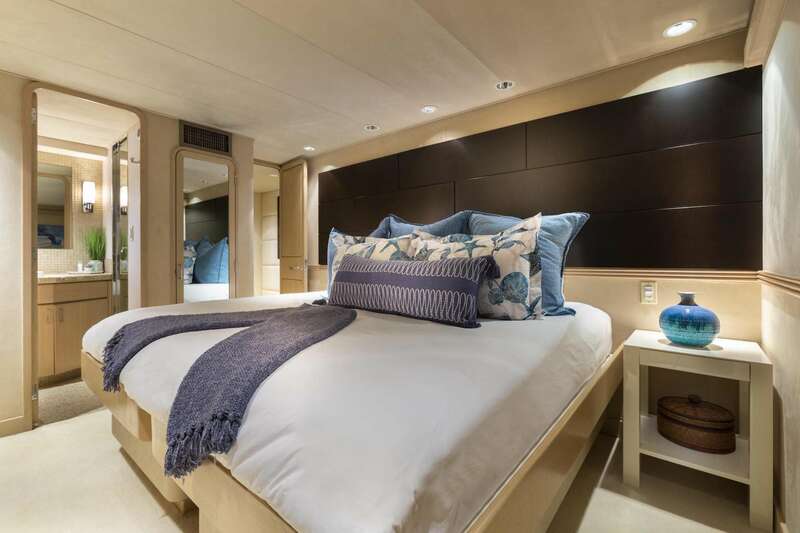 The full-beam Master Stateroom features a centerline California King-bed with his & hers bathrooms joined by a large jacuzzi tub and shower with dual heads and marble countertops. 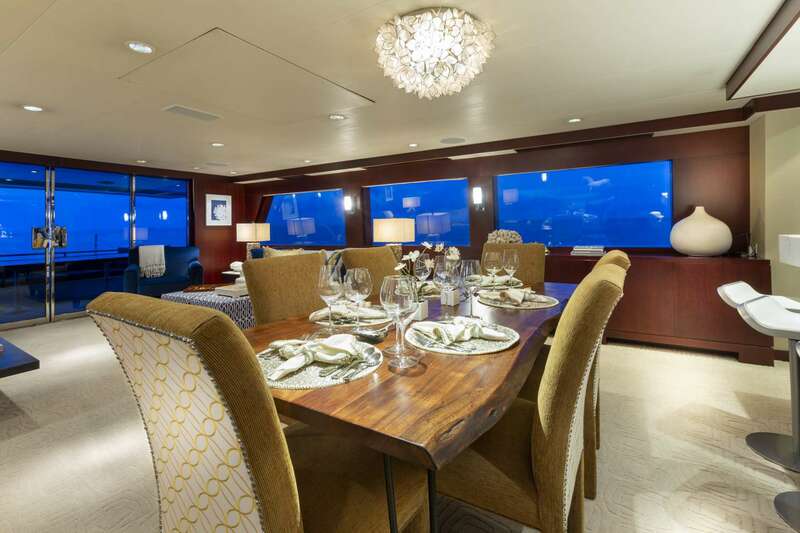 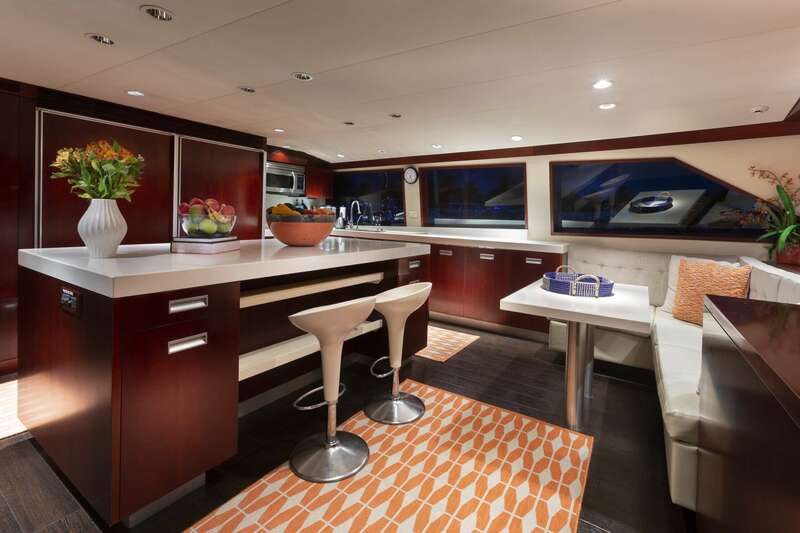 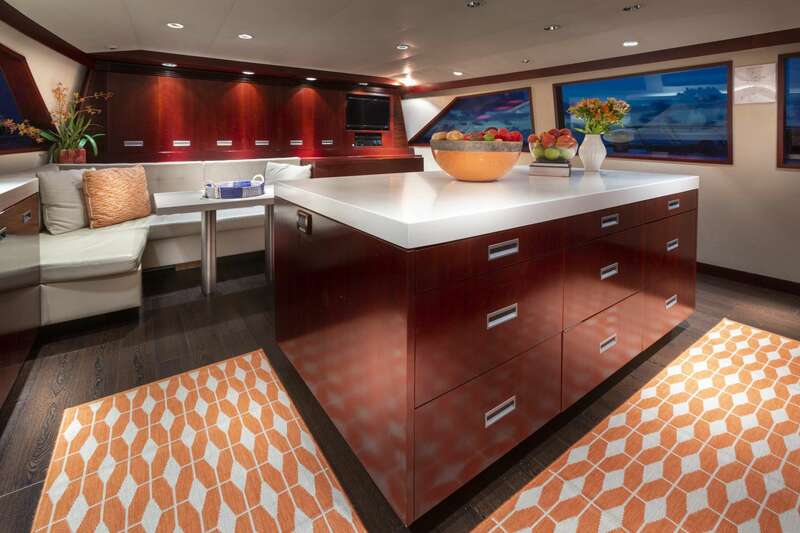 There is a 36" Sharp flat screen TV, Sony DVD player, Hanging closet to port and walk-in closet to starboard. 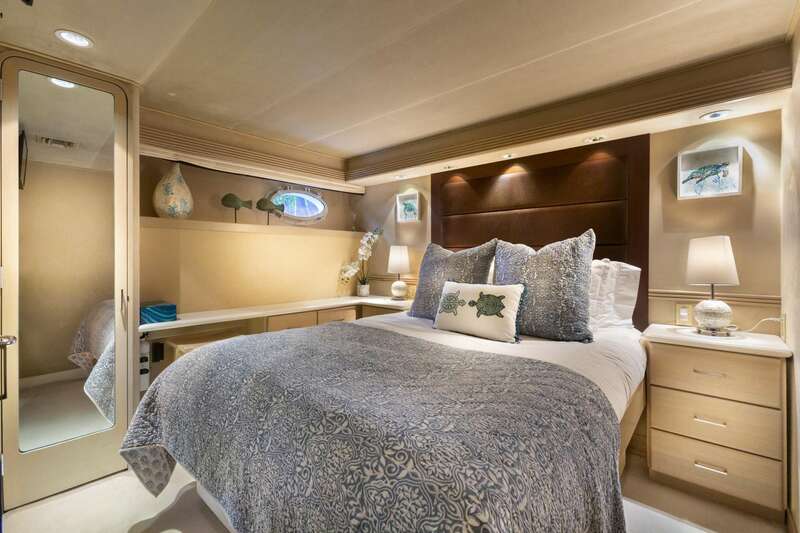 The VIP stateroom to port features two oversized twin beds that can convert to a king-sized bed with ensuite shower and head. 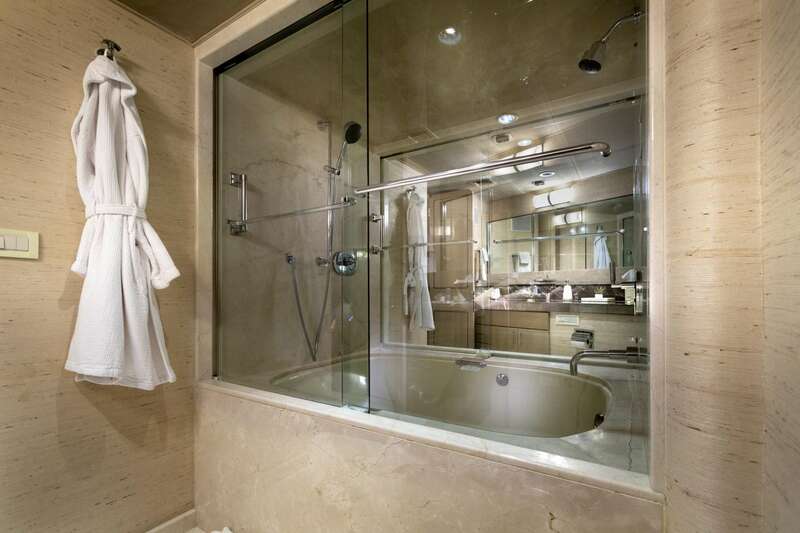 The Queen-sized stateroom is located starboard with ensuite shower and head.